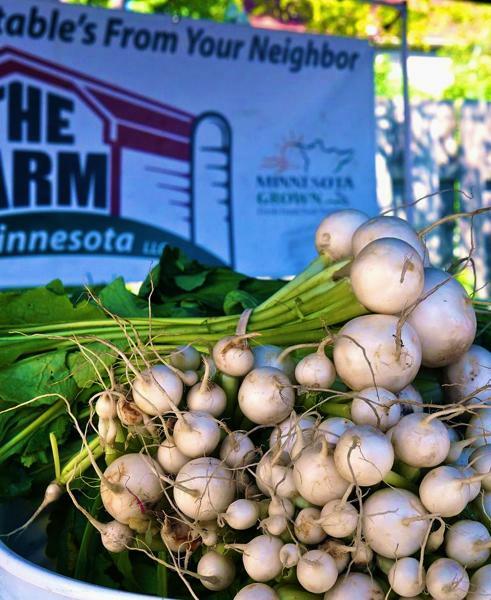 Although the farmers market season is a welcome time for everyone — growers, shoppers, and communities — the issues faced at Linden Hills highlight the difficulties that can crop up when a saturation point begins to appear. There are only so many market shoppers, after all, and the cooler spring this year has left many markets waiting for farmers to bring enough to sell consistently. With those kind of factors, market managers like Wyrum know that a good market isn't just a collection of tents, tables, and a bluegrass trio. Instead, deeper strategy is required, and that's just what Linden Hills is bringing this year. "I love farmers markets, I'm a big fan of them," says Wyrum. "But I don't appreciate the fact that they're often not a sustainable business model for farmers. We knew that diversifying the customer base for farmers was the only way to move toward more sustainability." That diversity will come from pre-market wholesale selling, in which restaurant buyers, groceries, chefs and others will be able to buy from farmers and food producers in bulk quantities, in the hours before the market opens. The model has already attracted several new farmers, Wyrum says, who wouldn't have been at the market otherwise. But the opportunity for both wholesale and retail selling proved compelling enough for them to sign up. Another big change will be a stronger focus on cooking and food sampling. 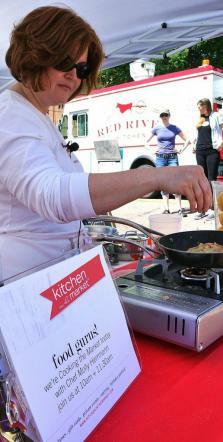 Kitchen in the Market (KITM) will act as a market partner for the effort. Rather than the standard live music seen at many markets, Linden Hills will instead utilize that space for cooking demos, chef talks, cookbook author signings, and other food-based events. Molly Hermann of KITM has been delivering zesty cooking demos with a "cook the market" theme — audience members collect produce from the market's farmers and producers, and Hermann has to throw them all together into a delicious dish. One week, she combined rhubarb, green onions, lychee, and kombucha and turned it into a breakfast scramble. "It was amazing," says Wyrum. "And that kind of 'stump the chef' event is not only fun, but it gives shoppers ideas about how to use what's at the market in fun new ways." With its new wholesale market and food-centered events, Linden Hills is hoping to set itself apart from all the surrounding markets, becoming not just an asset to the neighborhood, but also a destination for those outside the community. 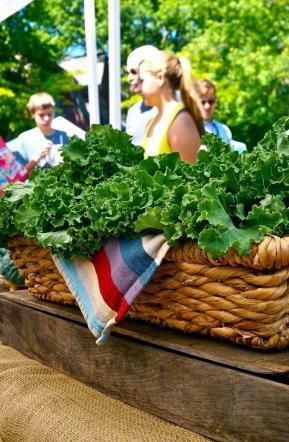 And of course, the market will feature plenty of farmers market favorites, like locally raised meats, fresh baked goods, organic produce, and prepared food vendors like La Loma, Hot Indian Food, and Red Wagon Pizza. "This is a big year for the market, and we're excited for the possibilities," Wyrum says. "It's going to be a great season." 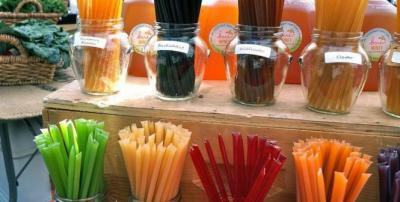 Linden Hills Farmers Market runs from 9am to 1pm every Sunday at 2813 W. 43rd St. (in the Settergren Hardware parking lot) in Minneapolis. The wholesale market runs from 7am to 9am.